This week, for something a little different, we look at how whole fleets of cruise ships, or at least sets of sister ships, have moved from one operator to another and how, many times, the new operator has been a subsidiary or affiliate of the original operator. Cruise ships have become chess pieces, played on a big board of new and upcoming markets. With the lack of a quorum last week, no solution has yet been found for the Deutschland’s financial problems. And Ponant owner Bridgepoint was among the bidders this weekend for river cruise operator Riviera Travel. In many ways, due to the groupings that have come together in the world cruise market, older cruise ships have become commercial assets, useful for invading new markets. As newer ships are built, so older ones pass on to useful roles in developing markets. Along with this, the fact that cruise ships have so often been built in classes has made this easier, as it is more economical to operate groups of similar ships together. To add to this, there has been a major change in how Carnival Corp & plc has divided management of its fleet into groupings such as Costa Cruises Group and Holland America Group. Costa Cruises Group includes Costa Cruises, Aida Cruises and the late Iberocruceros while Holland America Group now included Holland America Line, princess Cruises, Seabourn and P&O Cruises Australia. The fact that responsibility for P&O Australia has now passed from Carnival UK to the Holland America Group is interesting in that Carnival UK has given up responsibility for this brand even though it still has the UK-based P&O Cruises in its portfolio. It is also interesting that P&O Australia operate the only remaining P&O cruise ships actually registered in the UK, as those trading from the UK, as well as the Cunard trio, are all registered in Bermuda. Given that the 2,702-berth Pacific-based Diamond Princess and Sapphire Princess are now also registered in London this means that Carnival Corp & plc’s entire UK-flag fleet is now effectively managed from Seattle. The Holland America ships are presently registered in Rotterdam but it will be interesting to see if their registries are transferred to London on their acquisition by P&O Cruises Australia next November. The next question is whether further “S” class ships might end up with P&O Australia, but the acquisition of Ryndam and Statendam already means more than a 50% rise in capacity for this fleet. While Kruse says that P&O Australia have been starved of tonnage, the ex-Sitmar ships are not much older than the Holland America duo that is joining them, and except for the oldest, the Pacific Pearl, they have roughly the same proportion of balcony cabins. Mr Kruse went on to tell Seatrade Inside that P&O Australia may one day be provided with newbuildings. As well as this trio, Thomson operates the 1,462-berth Thomson Majesty and the 1,504-berth Island Escape, for a total of five ships. These two are veterans of Norwegian Cruise Line and Royal Caribbean International, respectively. Casting our eyes over fleet movements in recent years, similar obesrvations can be made about Royal Caribbean Cruises and their affiliate Celebrity Cruises. 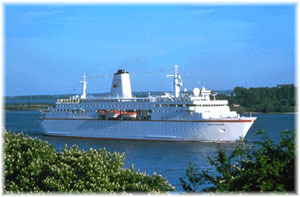 The two original Celebrity newbuildings, Horizon and Zenith, now sail for Pullmnantur’s Croisières de France. The 1,814-berth Century, which was also until recently intended to go to the French operator, managed to find a different path to the Chinese-owned Ctrips, which she will join in 2015 in a possible joint venture with Royal Caribbean, who have been sailing ships from Chinese ports for five years. In Germany, TUI Cruises is a joint venture of Royal Caribbean and the German TUI Travel group that also got its start with a pair of former Celebrity ships, the Galaxy and Mercury. Many of the design elements of TUI Cruises’ latest rebuilding Mein Schiff 3 (and four sisters to follow) have been inherited from the original Celebrity design and the safety management of both the second-hand and the new ships is still vested with Celebrity Cruises in Miami. Probaby the biggest exception to all these various moves is Carnival Cruise Lines’ 2,056-berth “Fantasy” class, all eight of which remain with their original owners. Built between 1990 and 1998, the Carnival Ecstasy (1991), Carnival Sensation (1993), and Carnival Fascination (1994) have each received 98 new balcony cabins. 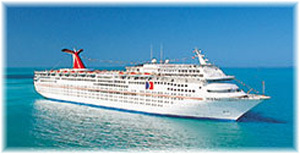 Only Carnival’d older ships have gone to secondary and tertiary markets so far. More recently, we have also seen the start of a new trend, with owners assigning brand-new ships to developing markets. For the first time, for example, Royal Caribbean International has decided to send its newest ship, the Quantum of the Seas, to trade year-round from Shanghai after completing a six-month introductory season from New York this winter. Last week, we reported MS Deutschland Beteiligungsgesellschaft, owners of the 552-berth cruise ship Deutschland, had filed for insolvency, and that a bondholders’ meeting was to have been held in Munich last week. In the event, not enough bondholders attended. The quorum required was 50% but only 46% turned up so no vote was possible on matters such as financing the ship’s upcoming drydocking this month. Whether the ship’s scheduled world cruise will be able to depart in December remains up in the air. It has been reported elsewhere that the lead bondholders may want the company dissolved and the ship sold and two parties are expressing an interest in acquiring her. According to yesterday’s Sunday Times, Bridgepoint, the owners of Ponant, is among four buyout firms vying to buy Riviera Travel, the Burton-on-Trent based tour and river cruise specialist. The sale is expected to pay out more than £120 million for Riviera’s founder Michael Wright, 58, and his wife Claire. Buyout firms that submitted final takeover bids this weekend were Bridgepoint, who own French mega yacht expedition cruise line Ponant; Equistone, who own French cruise retailer ABCruise and last month acquired a stake in UK-based Travel Counsellors; LDC, part of Lloyds Banking Group; and Phoenix Equity Partners. Riviera Travel was founded in 1984 and had sales last year of £106 million, up from £85 million in 2012, according to published accounts. Pre-tax profits jumped from £6.6 million to almost £10 million over the same period. The company last year carried 15,000 river cruisers and 100,000 tour customers, which compares to Saga with 26,000 cruise passengers and 150,000 tour passengers.